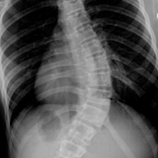 The Schroth Method and Dr. Weiss’ Best Practice are a winning combination for the adolescent or adult with scoliosis. Please refer to our Scoliosis 3DC website for more information on the Schroth Method. Dr. Marc is the first and most experienced US healthcare practitioner certified in Germany. With the Schroth Method and Dr. Weiss’ techniques, he offers adolescents and adults a viable alternative for the management of scoliosis. In the past few years he has taught hundreds of patients these non-surgical alternatives for scoliosis. He delivers instruction and advice with the care and compassion of a father who knows the traditional system of scoliosis treatment. Because of his own experience, he knows patients are eager to avoid surgery and to understand scoliosis. His program provides that and much more. It is empowering!